I discovered my notes from The Machine That Changed The World. It made me think about about the differences between Lean and Agile. 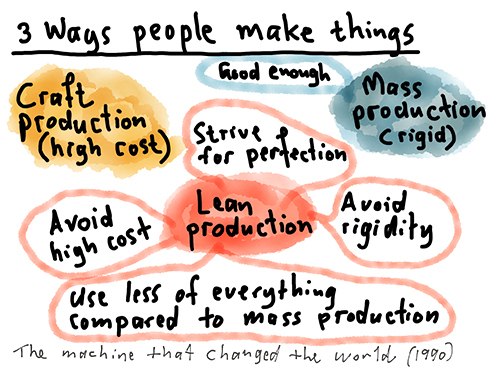 A good place to start is to think about the different ways we make things. Conceptually Agile is a subset of Lean principles and practices which are in turn a subset of Systems Thinking. Once an organisations starts running Lean or Agile principles the whole nature of the organisation starts changing from a static hierarchy to a fluid learning culture. 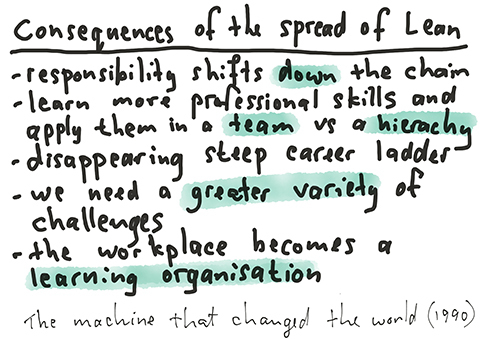 Not all organisations are ready for it, and implementing it in practice can be hard because the consequences of implementing Lean or Agile threatens existing functions and job roles. Read more on the differences between Agile, Lean, Kanban, and Scrum. At the Design Indaba 2017 festival my highlights were Joe Gebbia and Luis von Ahn. Their talks challenged two assumptions that I hold. Listening to them speak made me realise that I’m not as optimistic as I should be. Brexit and Donald Trump are indications that the West is becoming more inward looking and racist. But Joe Gebbia talked about Airbnb’s Disaster Response and Relief program. It gives me hope that things are not that simple. There are people who care. In my work as a UX designer what has changed me most is talking to people, listening to their stories, it is easy to forget that we all share the same hopes and dreams for ourselves and our families, regardless of race or culture. If we learn to cultivate empathy the future may be less troublesome than we’re assuming. Luis von Ahn told the story of DuoLingo. People learn languages for economic reasons, but that is not the only reason. There is interest in smaller languages, like Irish, DuoLingo gives those languages a chance to grow. The platform will be launching Swahili and Zulu in the near future. 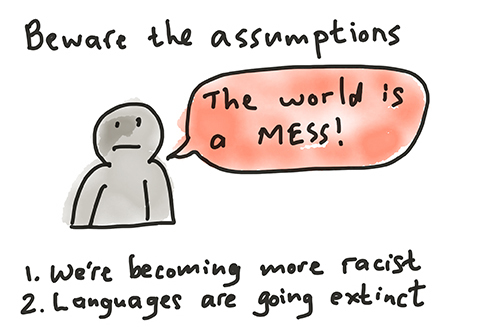 It may be that nature abhors homogeneity and the future may sound more diverse than what we are assuming. 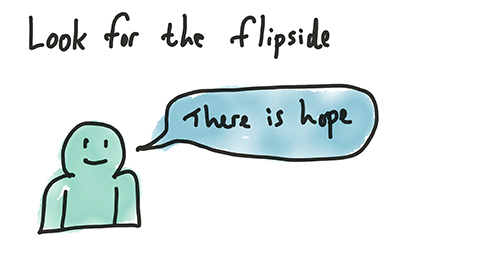 It is all too easy finding evidence to support a pessimistic view of the future. I don’t want to be that person. There are bright spots and we need to keep them in view. Solving the problems we currently face cannot be done without technology. But we need to help technology understand it’s role in creating a sustainable world. This is what Airbnb and DuoLingo are doing by using technology to serve the needs of people. It is time that other industries start to follow. 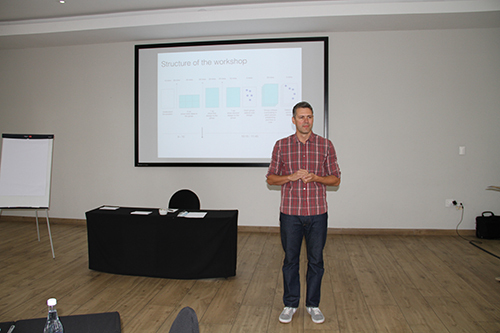 At the UX South Africa 2016 Conference in Cape Town I delivered a talk on the future of UX design in South Africa, and I facilitated a workshop on design critique. 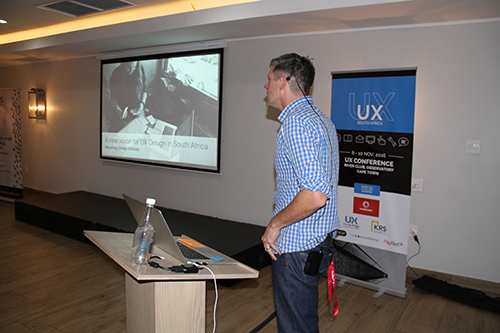 The UX South Africa Conference is in its third year and has grown from its base in Cape Town to an annual Johannesburg counterpart. The conference is growing in popularity and for the last two years international speakers has been added to the list. The popularity of the conference bears testimony to the growing local awareness of the value of UX design. 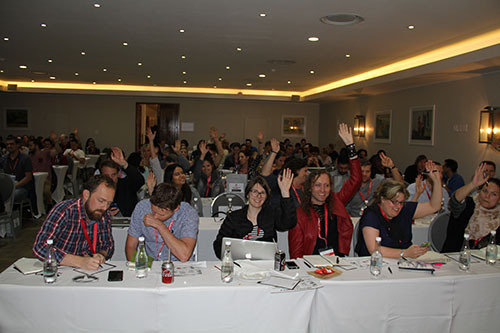 The audience includes developers, designers, agilists, marketers, and content editors working across the tech industry. My talk was inspired by conversations I’ve had in the past year with people interested in learning more about UX design. 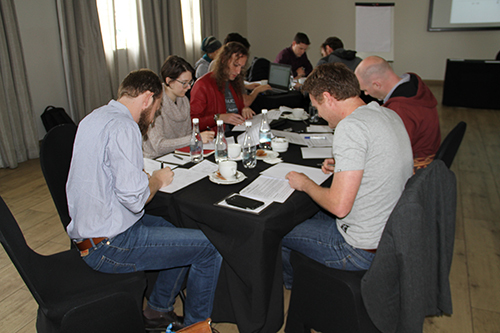 Themes running through the conversations were people’s desire to do meaningful work, and the future of UX design in South Africa. This raised two questions for me: Firstly, how can an industry with empathy at the core of its practice ignore the problems facing South Africa? And secondly, in a rapidly changing design landscape will UX designers be relevant in the future? UX design exists at a unique interdisciplinary juncture and with the maturity of design thinking, social innovation, and lean startup, UX designers are well placed to re-apply their user-centred-design skills in new areas to make greater impact. In my talk I explored the new mindsets, skills and attitudes UX designers need to adopt to shift from merely doing design to becoming design activists. Earlier in 2016 I gave a talk at a UX masterclass meet-up titled ‘The Lost Art of the Critique’. The talk was inspired by observing that many design teams that I work with lacked a process for discussing design critically. Feedback after the talk confirmed that many people experienced this in their organisations and they wanted to do something about it. So I designed a workshop to meet that need and presented the first version of workshop at the conference. The best thing about doing talks and workshops is the hard questions that come from the audience. By exposing the canon of your knowledge in public, you get to grips with what you actually know, and how much more there is to learn. I’ve been looking into VR for education recently and I am strangely intrigued. I find VR hard going on the senses, so I think its value lies in short bursts of usage. It’s not a long form medium. But there is something about the immersion that intrigues me. I’d like to find out more. 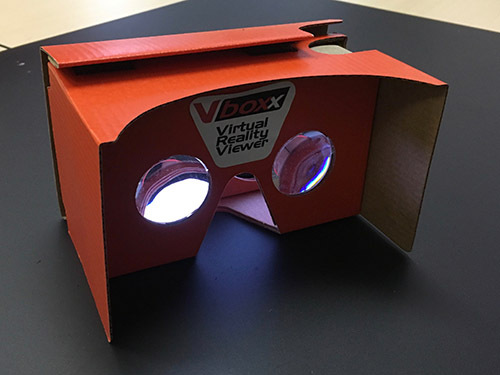 The Cardboard Design Lab app gives the following best practices when designing for VR. Reticule: use visual overlays to make targeting objects easier. UI depth and eye strain: shifting focus between near and far objects may cause eye strain, 3 metres away from the user results in best UI. Constant velocity: good motion is smooth with a constant velocity. Acceleration and deceleration may cause people to feel sick. Keep the user grounded: include reference points to that the user can understand their surroundings. Maintain head tracking: at least one element in the scene should retain head tracking. Smooth low latency head tracking is key for VR. Guiding with light: users are drawn to the lightest part of the scene. Use light to direct users. Leveraging scale: use scale to influence how the user perceives their size in a virtual world. Spatial audio: use audio to direct the attention of the user and to immerse them in the environment. 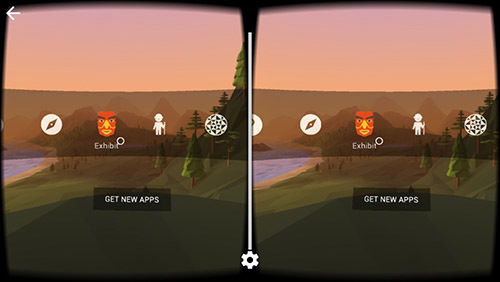 Make it beautiful: the better it looks the better the immersive experience. This includes good interaction design and audio. Clayton Christensen’s new book, Competing Against Luck, lays out the Theory of Jobs to Be Done. It focuses on understanding customers’ struggle for progress and then creating the right solutions and experiences that solve customers’ jobs. What I like about the Jobs to Be Done (JTB) model is that it avoids words like customer experience, service design, design thinking, agile, big data etc., which are often used in different contexts meaning different things to different people, although these practices are all implicit in JTB. It shifts thinking from product features to customer value. It provides a model for organisations to become truly customer centric by focusing business functions on understanding and solving the struggles of customers by providing diverse teams with a language of integration. Key to this shift is for organisations to rethink how they engage with data. Much of the information needed to make decisions about solving for a job is found in the context of the struggle. We call that “passive data” because it has no voice or clear structure or champion or agenda. Making meaning out of the jumble of real-life experiences is not about tabulating data but about assembling the narrative that reveals the Job to Be Done. Innovators have to immerse themselves in the messy context of real life to figure out what potentially successful new products might offer to customers. Managers feel an understandable sense of reassurance when they shift their attention from the hazy contours of a story of struggle to the crisp precision of a spreadsheet. Data is always an abstraction of reality based on underlying assumptions as to how to categorise the unstructured phenomena of the real world. Organisations are gathering a lot of data about customers, what they are doing. Getting insight from this data without knowing the why of people’s behaviour is hard. Which is why organisations don’t know what to do next. Getting out of the building and understanding the struggles of customers is the place to start. The next challenge is getting the entire organisation focused on the real life struggles of their customers.